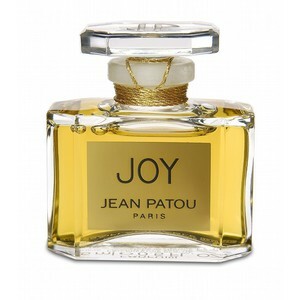 There are two Jean Patou perfumes on Vanessa’s dressing table: one is Joy, the other one is Eau de Joy. Launched in 1929 as “the world’s most expensive perfume,” Joy was created by Henri Alméras with 10600 flowers of jasmine and 28 dozens of roses, plus notes of ylang-ylang, musk, tuberose and sandalwood. 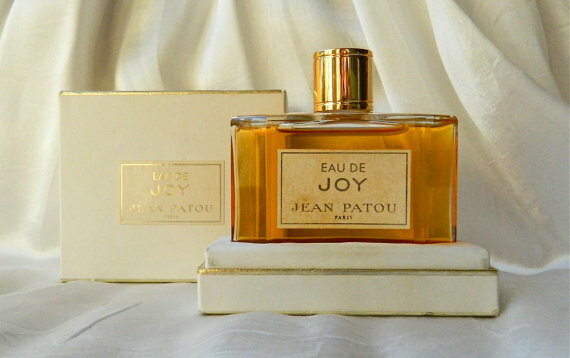 Eau de Joy was launched in the 1960s: it’s dominated by jasmine notes, along with civet, aldehydes, lily of the valley and rose. 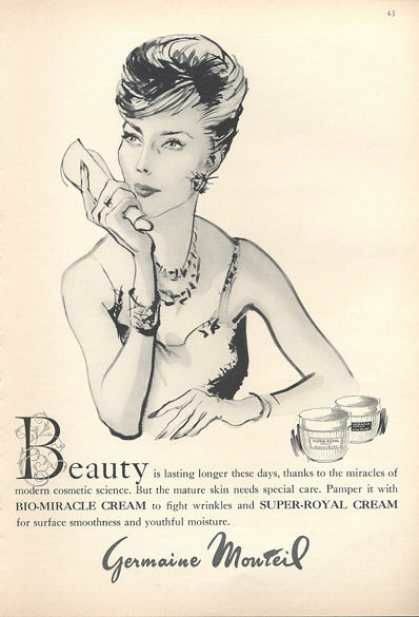 On the dressing table a box of Summer Eye Cream by Germaine Monteil can be seen, too, still wrapped in plastic.